A rocket scientist & TED speaker helps audiences reshape their brains with science & faith to find the The Answers in front of you. Need Answers? Struggling with a situation? Now create your long-lasting solutions. 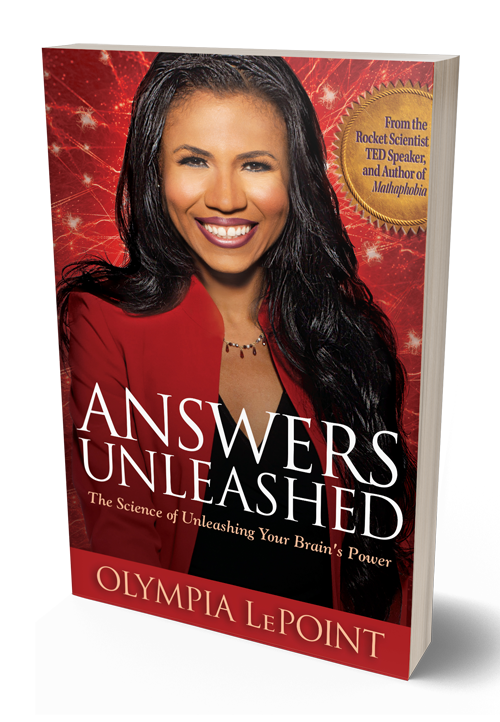 Answers Unleashed started as a half-hour weekly Talk Radio show in which listeners reshape their brains with science and spirituality to overcome situations by finding The Answers in front of them. 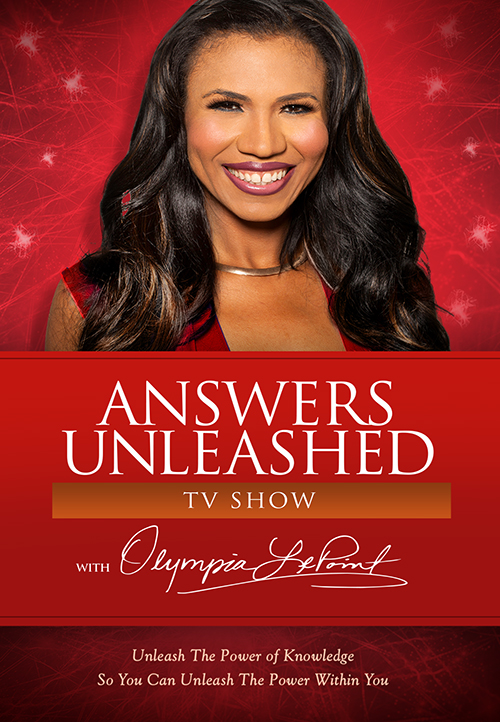 Since the talk show’s 2016 debut, the Answers Unleashed platform has developed into a book series, and LIVE Lecture Series seen across the globe. The show and books uniquely combine principles of rocket science, applied mathematics, psychological concepts and the brain’s natural faith ability to empower audiences in generating solutions in their lives. The Answers Unleashed platform takes science from rockets and applies it to form the “Triabrain Theory or Relativity” which defines how to unleash brainpower. Whether it be a person who needs to find a way to pay for college, or a leader who wants to start a business, a person who seeks to rise above painful memories, or a person who desires to transform their physical health, this show explains how a person can effectively use their TRIABRAIN – the Left/Right/Faith 3 Brain system created by Olympia LePoint – which is the secret key for creating life-changing solutions. Answers Unleashed ® radio show is broadcast live through KPC Radio in Woodland Hills, California. Answers Unleashed ® TV Show is pre-recorded and filmed in Los Angeles, California. Do you have a question that only Olympia can answer? Have you created something great? Need to change your situation? If so, email us now to be on the show. Answers Unleashed® is a registered trademark of OL Consulting Corporation, a book publishing and educational entertainment company focused on promoting self-directed thoughts for growth through science education. Science, Technology Engineering, Mathematics and Faith are the foundations of all products. Each professional creation promotes the power of the human brain and seeks to increase the number of scientists, entrepreneurs, mathematicians, technology innovators and strategists across the globe. Copyright © 2019 OL Consulting Corporation. All rights reserved.